Want to go on a creative adventure and figure some things out about yourself on the way? 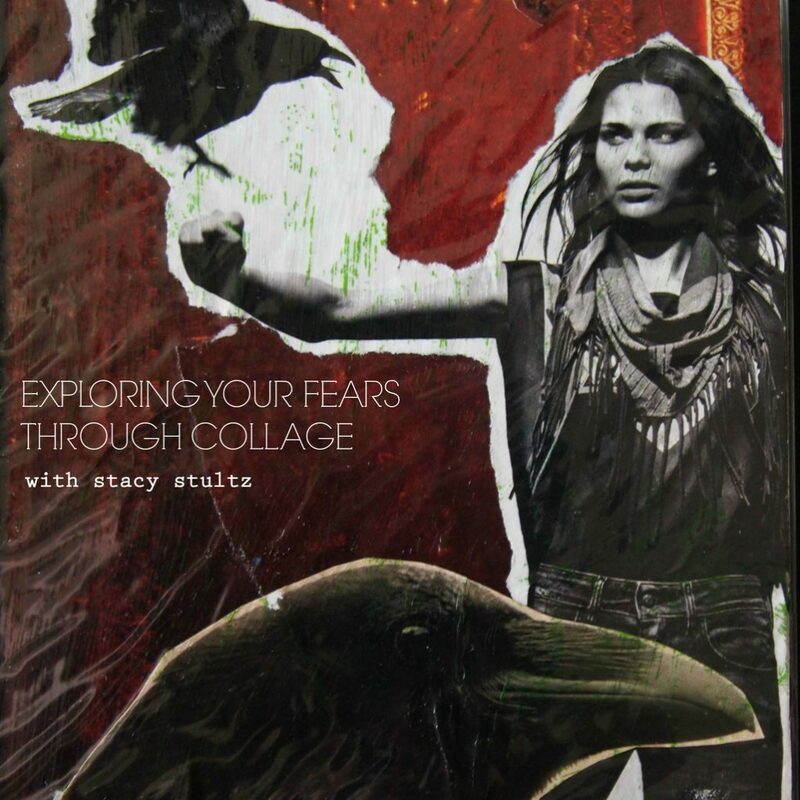 Today we are opening early registration for a brand new collage course being taught by art educator and therapist Stacy Stultz! 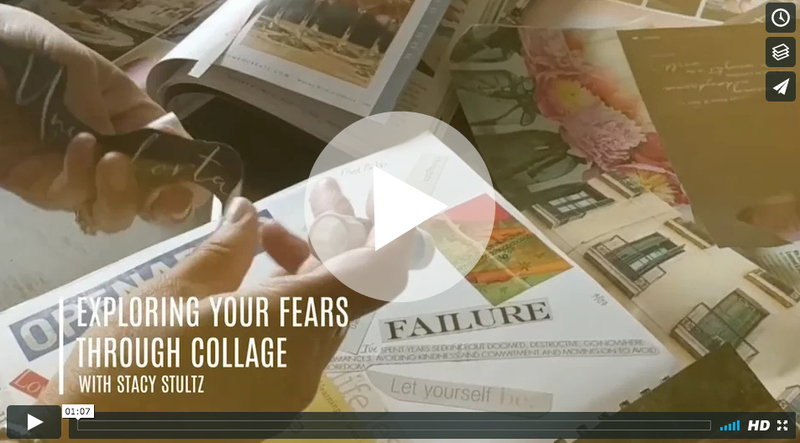 Stacy will be leading us in Exploring Your Fears Through Collage! We all know the healing power of creating and what it does for your happiness, contentment, and peace but this is bringing an even deeper healing power into your art. 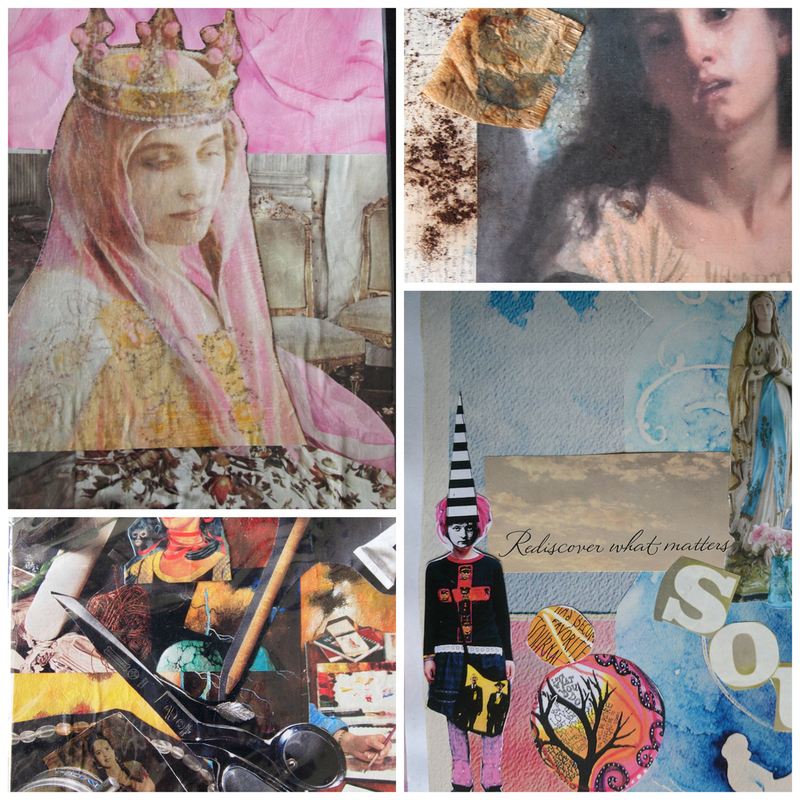 Supplies: Magazines, photo, hand-made images, words, phrases, glue sticks, glue, brushes, and card stock. Writing in any media and adding your own work is welcomed! The early registration price for this one week course (4+ hours of content) is $28.00 and will go to $48 on September 13th @ 7pm MST. You will have LIFETIME ACCESS* to the videos. This class will go live on October 10, 2017.